When you hear “entrepreneur”, your first thought is probably not of a farmer. But it’s the passion of those small batch creators/producers that make your local farmers market the tastiest place to go! 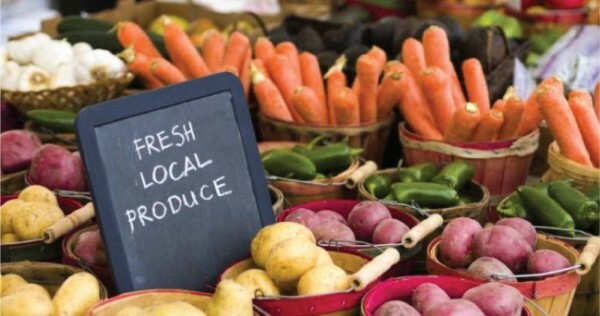 “We love the market not only because we all come together around food, but it offers us the ability to meet the people eating the food that we grow for them. Some to sell it, some to eat it. A perfect combination,” says Joan Norman of One Straw Farm. 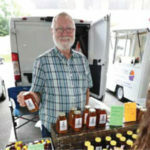 What’s at the market: fruit, vegetables, mushrooms, sprouts, meat, eggs, honey & honey products, spices & simple syrups, flowers, jams & jellies, cheese, traditionally preserved food, handmade savory pies, sweet treats, snow cones and small batch soups & dips. 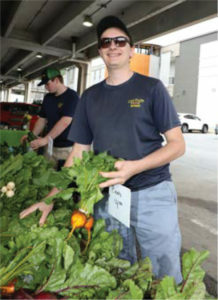 The Kenilworth Farmers Market is located at The Shops at Kenilworth, 800 Kenilworth Drive – (lower level parking lot) every Tuesday from 3:30 to 6:30pm, April thru November.